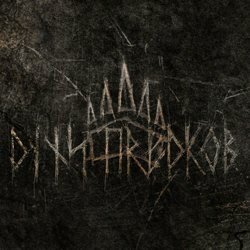 After their successful debut “Terra Ursorum” in 2011, Russian folk “pagancore” metal band Dukhi Predkov (Духи Предков) composed 2 new songs. These songs are offered for free as an online single with the title “Солнце За горами / Sun Behind the Hills“. The single was released on March 19th 2012. Духи Предков continue with the same line-up and their style remains the same with a slight improvement in the production. You can visit their official pages on the links below to get this single.